This is a pic from early in the morning when the fish were up on a 15 to 20 foot flat hugging the bottom. This shot is the school still on the flat but as the sun gets brighter they start moving off the flat into deeper water. 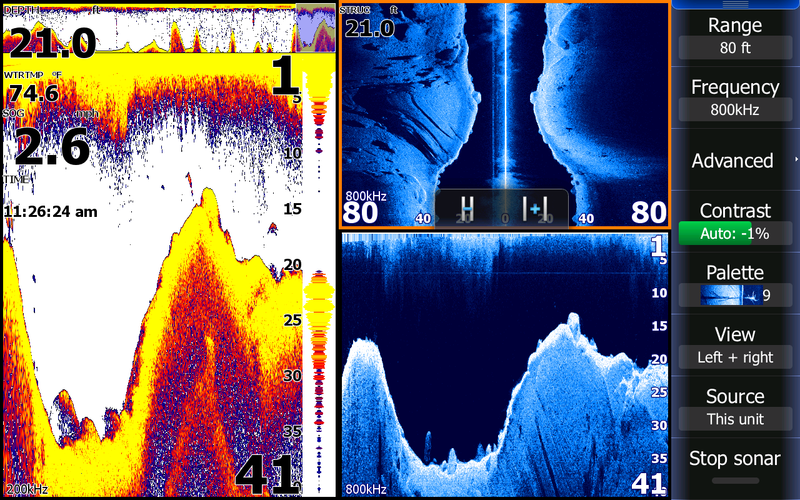 These fish are feeding , notice the streaks on the sonar page. As I gradually worked deeper I started seeing and catching larger Stripers. 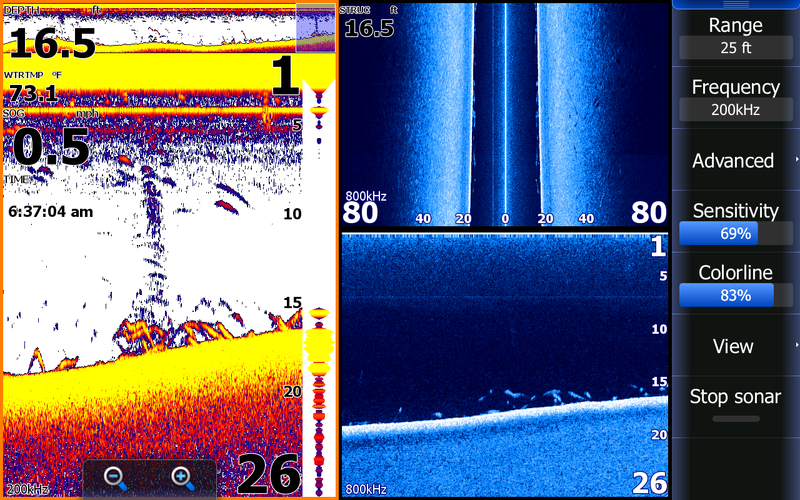 Notice my history in the upper part of my sonar page. 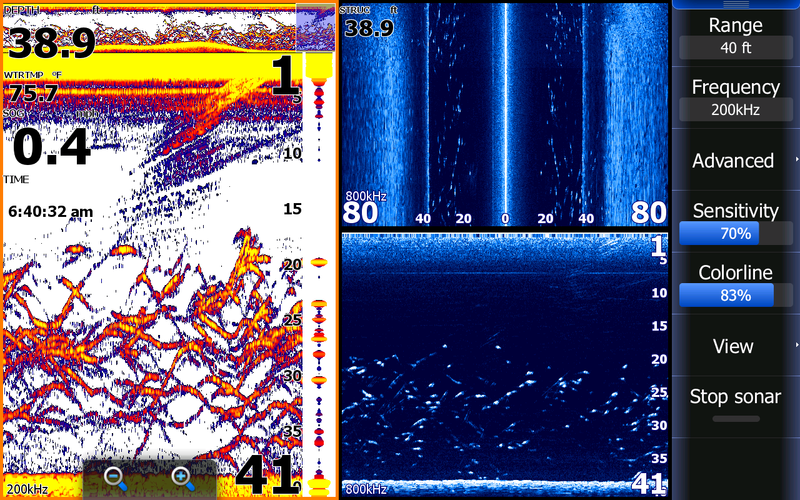 The Stripers are stratifying in the water column at 20 feet. They were hugging the bottom on the 20 foot flat and as I moved deeper they continued to stay at the same depth. I think I am on them here. 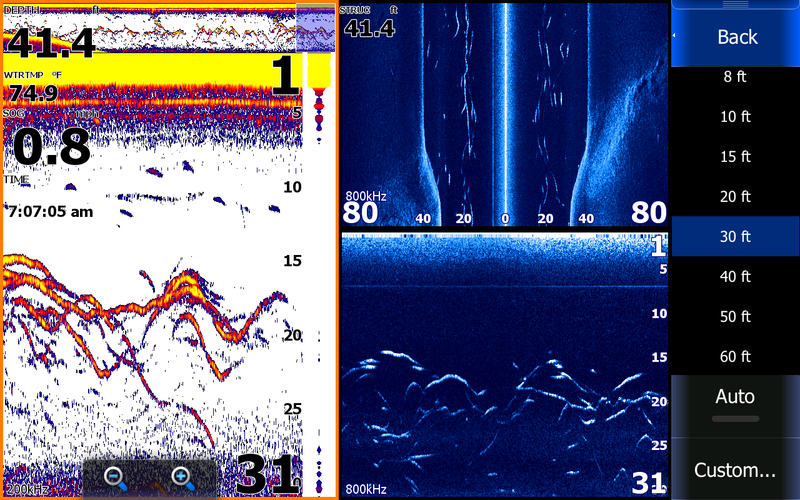 Again notice in my history on the top of the sonar page all of the fish and how long I had been on them. We were catching 50 fish an hour here. This is a great shot of some structure on Lake Anna. 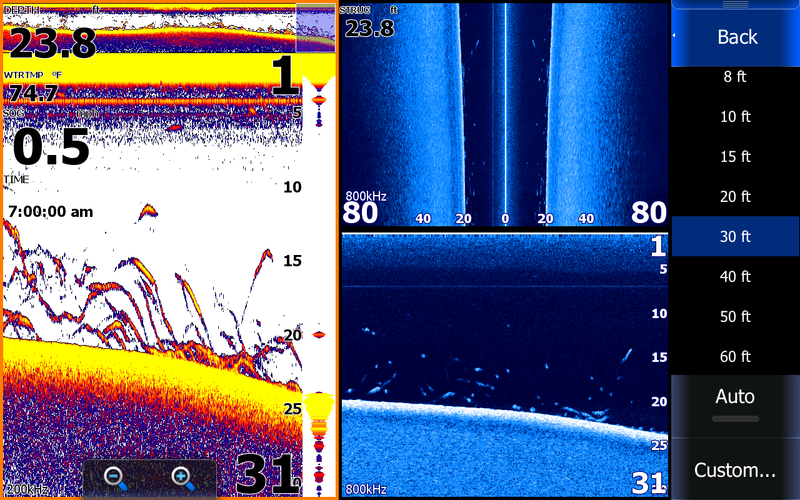 You can tell it is a hard rocky bottom by all the yellow on the bottom on my sonar page. What I like best about this pic is the side scan screen. Now that's a beautiful shot....I am going to name this picture Jeanne after my wife. June is the best month to catch schooling fish on Lake Anna. guides on the Lake to put you on the Stripers. That's way to much info right there!!!! !